After almost 17 years of absence legendary US. Bay Area Thrash Band "Lääz Rockit" have returned with their newest effort "Left For Dead". All you classic metal heads should check this record it has this very distinct oldschool thrash/speed metal touch to it! 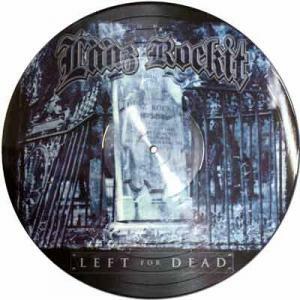 Left for Dead is the sixth studio album from Californian thrash metal band, Lääz Rockit. It is scheduled to be released in 2008 on Massacre Records and follows 1991's Nothing'$ $acred . This is the band's first studio album in 15 years. 5. "Ghost In The Mirror"